Burger King | Taste with your eye, the wow factor! When comes to burgers, McD, Carl’s Jr. and Burger King always in my mind! 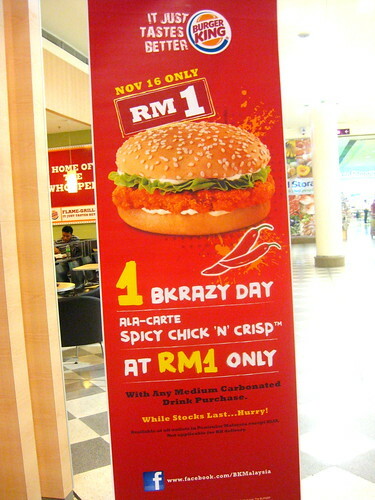 Still remember there’s a crazy promotion from Burger King, RM1 for 1 Spicy & Crisp chicken burger with any medium carbonated drink purchase, as while stock last. This crazy promotion only for 1 day. 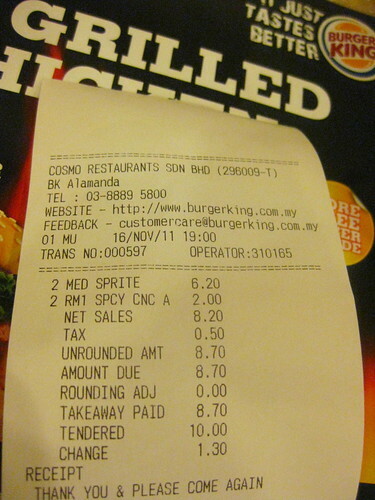 I rushed to Burger King after work, without 2nd thought, i bought 2 RM1 Spicy & Crisp chicken burgers!! kid you not! I finished 2 burgers with 2 soft drinks alone. obviously as if your web site however, you need to look into the spelling about quite a few of one’s posts. Most of them are rife with transliteration problems and that i to find this very irritating to inform the reality then again I will definitely come again.